She also grew up witnessing disparities in the educational system. She remembers listening to her mother practice guided reading assessments for underserved, low-income students. She remembers transforming the kitchen table into a classroom for her brothers, whose teachers didn’t understand how they learned best, but she did. She remembers patiently working through the content with them after football practice in the fall and track practice in the spring. She remembers realizing that some people experienced their education differently, whether it was because of their socioeconomic status, family structure, or pure educational access. “My first real experience with educational inequity came when I was in high school and I saw how different my education experience was compared to those students of varying socioeconomic backgrounds or those who struggled in their classes,” she said. This passion persisted, and it was crucial for her to have an opportunity for mentorship during her time in the Honors College. She quickly got plugged in with Engage Tuscaloosa her freshman year by volunteering with the middle school program. She said it was the perfect opportunity because it coupled her love for mentorship with her love for education. 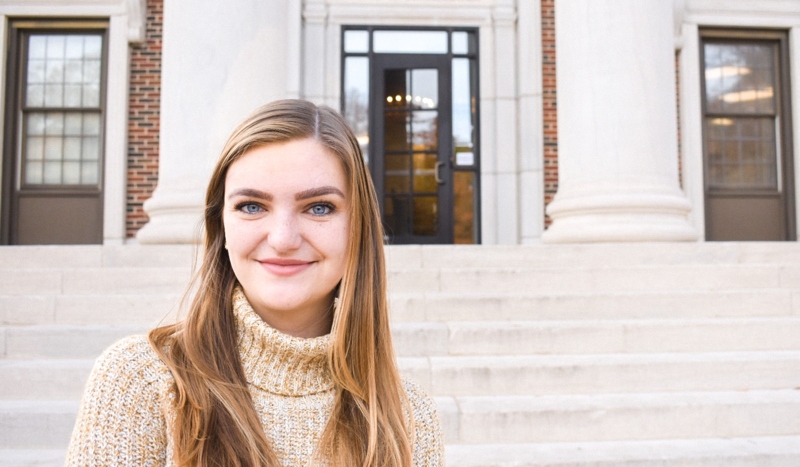 Stebbins, a junior majoring in political science and journalism, now serves as the Executive Director of Engage Tuscaloosa. Engage Tuscaloosa is an Honors College community commitment to the educational well-being of local students in both Tuscaloosa and Marion. It serves these students through four distinct programs that target different age groups: Bright, Read, Dream, and Drive. In the 2016-2017 school year, Engage Tuscaloosa reached over 1,170 local students and received participation from over 600 Honors students. The program was also recently reimagined with clearer goals, fresh curriculum, and new partnerships to involve even more Honors students. The programs focus on specific needs for different age groups. In an idealized version of Engage Tuscaloosa, a student could stay involved throughout their entire K-12 education. BRIGHT introduces preschool and kindergarten students to STEM concepts through experiments and interactive lessons. READ helps elementary students develop a love for reading through reading buddies and early intervention to encourage grade-level comprehension. DREAM instills scholastic competence in middle school students to empower them to develop pathways to success. One of Stebbins’ main projects as Executive Director has been the creation of DRIVE, which focuses on college and career readiness skills for high school students at Central High School. The pilot program ran during the Spring 2017 semester, and is now fully implemented within Engage Tuscaloosa. Travis Moore, a 9th grade teacher at Central High School, saw a definite increase in student engagement after the implementation of DRIVE. More students came to after school sessions to make up missing assignments and spend extra time on classwork. He said that the weekly grade checks in DRIVE increased accountability that allowed students to transform their failing grades into passing ones. Stebbins wants DRIVE to show students their post-high school possibilities before it’s “too late.” If students understand that continued success—beginning freshman year—really matters, they have a better shot of continuing on to college or a career after graduation. She believes deeply in the power of mentorship in creating success. Stebbins views Engage Tuscaloosa as a crucial component for a well-rounded Honors experience and worthwhile civic engagement. If a student doesn’t actively try to, they may never witness the inequalities immediately surrounding campus. 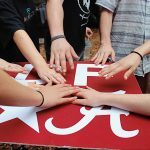 Engage Tuscaloosa not only benefits local K-12 student, but it also helps Honors students understand their unique role in community involvement. Outside of Engage Tuscaloosa, Stebbins has also worked in Marion teaching a class with the University Fellows Experience during May 2016. This past summer, she served as a student intern at The Education Trust, and later worked for a summer literacy camp in Marion. Students can get involved with Engage Tuscaloosa by registering for one of the program’s various UH 105 classes. However, students can also just simply volunteer in other outreach programs. 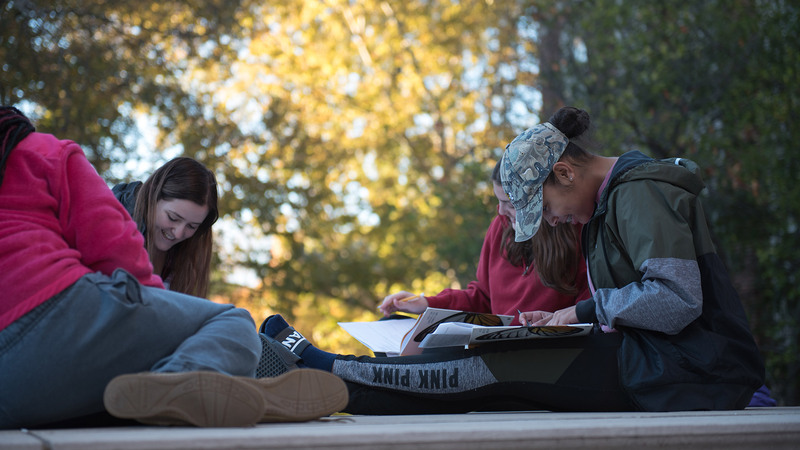 Stay informed about classes and volunteer opportunities by checking the Honors College newsletter or stopping by the Engage Tuscaloosa office at 252 Nott Hall. This course examines the human/nature/ecology relationship though contemporary art. 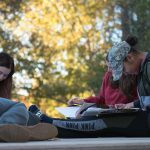 Informed by film viewings, class readings, and discussions, each student will undertake a semester long research project in exploring the relationship between Art and Ecology.